Welcome to 2018 Cornhusker Fly Fishers! Our first meeting of the year is Wednesday the 17th at the Nebraska Outdoor Education Center in Lincoln. Click Here For Directions. Doors open at 6:30 and meeting starts at 7:00. We have a great fly tying themed raffle this month. Don't miss out! We have a fly tying demonstration from a few of our club regulars. 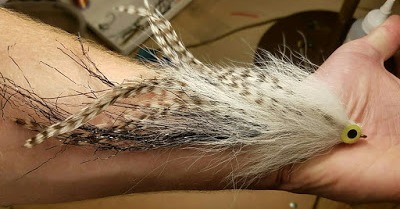 Ken Whisenhunt will be tying one of his favorite and well known flies... Scott Beasley will demonstrate tying the fly that won him the One Fly Bluegill Tournament last summer, and club president Larry Dostal will be sharing some great bucktail techniques for big predator flies. 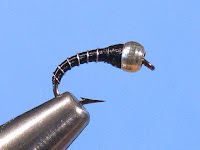 Our fly of the month this month is a tyer's choice from two flies. The Zebra Midge or the Brassie. These patterns are winter trout staples. They are small, easy to tie nymphs that mimic the abundant midge larvae that all sorts of fish munch on during the cold winter months. 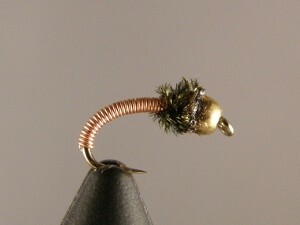 Check out our Fly of the Month Tab for tying instructions. Bring your best rendition to the meeting! Hope to see you all there!